All reserved limousines and other vehicles will always arrive on time for departure and pick-up. 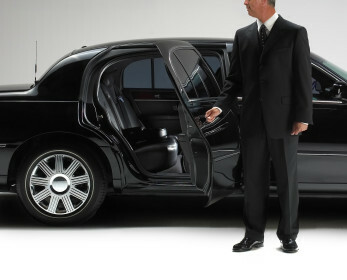 Punctuality is a high priority in the industry of limousine service. Chauffeurs strive for excellence in this area and the AZ Sedans chauffeurs are the best in the trade. AZ Sedans strives to provide the highest level of safety for its clients and chauffeurs. The entire fleet is well maintained. Regular tune-ups and safety checks are performed. Oil changes are required after every three thousand miles. All tires are changed after 50,000 miles unless required earlier. The chauffeurs at AZ Sedans have been diligently trained in defensive driving techniques. They are trained in the classroom and over the road. Senior drivers must orientate and train new chauffeurs before they can be allowed or assigned a limousine or other vehicle to drive on their own. For all your business transportation, you can feel secure that AZ Sedans will meet all your expectations. New customers usually become returning clients. Clients are what AZ Sedans works so very hard to accomplish. These clients spread the word that AZ Sedans is a reputable, top notch, and superior limo service. You can check them out for yourself on their website. It contains full details into the many aspects of their ever growing services.